A man who fought fearlessly for his community, exposed corruption and wrongdoing and took the UK government to court – and won! David Rees died in August 2018 from a brain tumour after a brief illness. He was 77. After his retirement he enjoyed life. 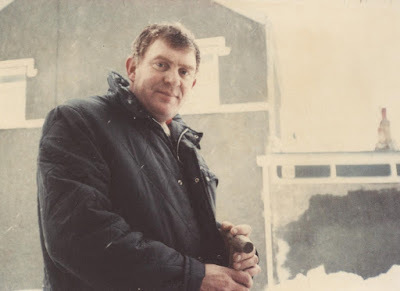 He loved walking and trips with his wife Rose, home improvements, looking after his garden and protecting his community from exploitation and pollution. David was a founding member of People First – Gwerin Gyntaf and served as the Party’s nominating officer. David and Rose lived in Denham Avenue, Stradey, Llanelli and he rose to the challenge when his community was threatened with a very negative transformation plan. The local elite rugby club needed money to clear their £9 million debts and build a new stadium worthy of their new regional status. A plan was hatched to build a huge residential housing project on the site of the Stradey Park Stadium and move the club to an out of town site. The scheme was led by Carmarthenshire County Council , and the Chief Executive promised that it would not cost the public a penny. In fact, it cost millions of pounds of public money. 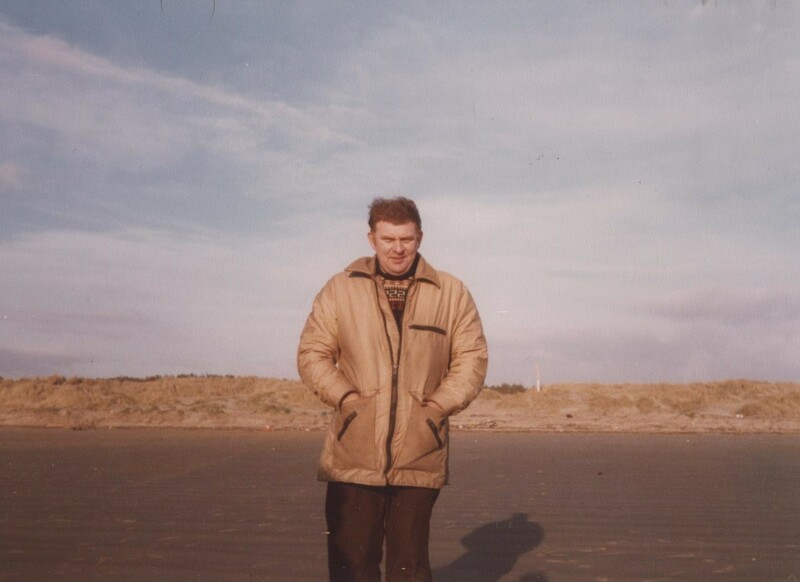 David became one of the “Stradey 9” campaigners and as the chair of the Stradey Residents Association helped lead the campaign to save the rugby ground and the open spaces planned to be covered by hundreds of new homes. The site was a dangerous C2 flood plain that should never have been built on. The Welsh Government eventually went against its own planning policy and allowed the development. Carwyn Jones himself is on record in correspondence with Welsh Secretary Peter Hain in support of helping the Scarlets, rather than following the rules. During this planning struggle the terrible truth of the massive sewage pollution of the Burry Inlet, the estuary on which Llanelli sits, and the subsequent death of millions of cockles and other wildlife became apparent. The sewage system had been inadequate since a new system had been installed in 1997 and sewage was frequently discharged without full treatment to stop back flooding into homes and streets. Eventually, after 2001, the level of human fertiliser in the water caused devastating problems with mass deaths of cockles occurring annually. House building clearly contributed to the sewage problem. Due to David and the other campaigners the number of homes to be built was reduced by a hundred to 350. The new homes were raised metres above the flood plain to keep them dry but leaving the existing, neighbouring dwellings at possible greater risk of flood. The open spaces of Stradey were covered not only by these new builds but also a large new primary school built on the “green wedge” despite promises to retain the land for community enjoyment. The area suffers from traffic congestion with long tailbacks at peak times, and air pollution. Both problems David correctly predicted. David could not stop the building of all the new houses but he fiercely took up the case of the environmental pollution caused by the sewage discharges. Welsh government, the Environment Agency, Carmarthenshire County Council and Welsh Water Dwr Cymru all denied that there was any problem. David decided to take the case to the European Court. Small notice at Llanelli Beach warning visitors to wash their hands - E Coli levels were high and rising up to 2009 when Carmarthenshire County Council decided to stop testing the water and cover themselves by putting up this notice. With the help of MEP Jill Evans he submitted the evidence of infringement of EU environmental law to the European Commissioner in 2006 who passed it on to the Court of Justice. He was joined later in the court action by the cockle pickers whose livelihood had been devastated. David was an active member of Llanelli Flood Forum, chaired by local MP Nia Griffiths who supported him in the cause but could not persuade her colleagues in the Welsh Government to stop the pollution before the court judgement against the UK in 2016. David had to take the case against the UK Government even though they had not committed the Crime. The Welsh Government, who gave permission for the discharges, and the local County Council, who should have stopped all house building in the area, were primarily responsible. Eventually the European Court found in David’s favour, exposing the true facts, the guilt of the regional government, and instructing that the situation must be addressed. David was born in Llanelli on Saturday, the 23rd November 1940 to Ernest and Peggy Rees. His father was in the RAF during the war and died in Rhodesia in 1943 in what was termed a ‘friendly accident’ after 2 RAF planes collided. His mother then had the responsibility of bringing David up on her own and she did a great job. He went to Llanelli Grammar School and then started his trade as an electrician in Trostre Steel Works. He also went to a night class in electronics and later worked in Llanelli Steel Works and from 1975 worked for Rank Xerox repairing copy machines. David met Rose, his wife, at a party in 1963 and they were to marry 10 years later in 1973. Their only son Conrad became a policeman and source of pride to them both. David retired in 1998, but soon answered the call to be a local hero and to defend his community and our environment. David was not one to sing his own praises in life but we should remember him now as a true Llanelli hero. It is a tragedy that David did not live to see the completion of the multimillion pound Llanelli “Rainscape” scheme which his actions forced WAG and Welsh Water Dwr Cymru to initiate in Llanelli after WWDC was judged to be shamelessly polluting the Loughor Estuary and Burry Inlet with hundreds of sewage discharges. The environmental damage, clearly supported by Welsh Government, Environment Agency Wales (now Natural Resources Wales) and Carmarthenshire County Council now has to stop. The scheme seeks to stop sewage discharges by separating ground water from the sewage system. It has not yet been completed and it will take several years before its impact will be seen. Our Estuary was a protected wildlife area and major shellfish fishery. Due to the local council policy of massive house building and the deliberate cover up by WWDC and WAG millions of animals have died needlessly and a major industry has been lost. We have yet to see whether enough has been done to allow the area to recover. The pollution continued for almost 20 years before the European Court findings. David hated injustice and we should all hope that his legacy will be clean water and the long awaited return of the cockles and all the other rare species poisoned by human greed, callousness and very deliberate neglect by public bodies. Many thanks to David's family for permission to write and publish this obituary and for the biographical details and photos of David.